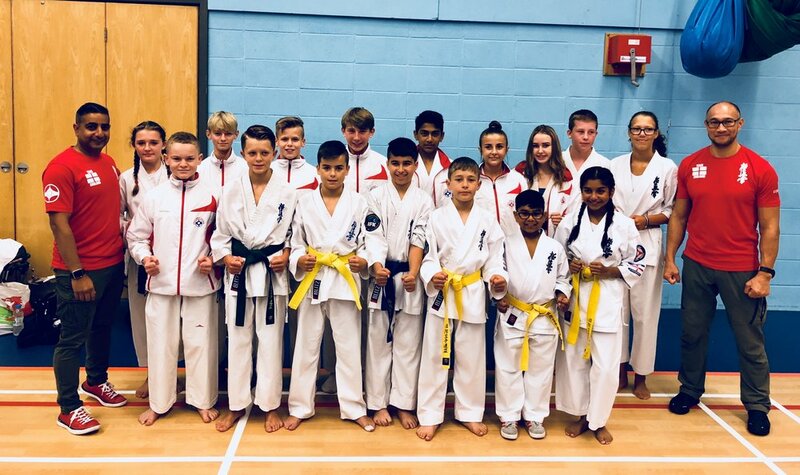 The Severn Challenge was held on the 8th September 2018 and hosted by BKK Wales, with competitors from BKK England, BKK Wales, IFK Ireland, IKK England and WKK Wales. A big thank you to all those that attended, in what was a very successful tournament. It is with great regret the BKK has to announce Sensei Steve Worrell of BKK Westcroft dojo passed away on Sunday 14th May 2017. Assistant Great Britain Knockdown coach Sensei Steve had been battling a long illness that rapidly escalated within the last few months. Sensei Steve started his journey with the BKK in 1976 and first fought for England in 1979. He ran the Westcroft dojo alongside Shihan Paul Baker for many years and will be greatly missed by everyone who knew him. Congratulations to Shihan Andrew Turner (6th Dan) for being appointed as the BKK Knockdown Chief Referee; we wish him well in his new position. Thanks to Shihan Alex Kerrigan (7th Dan) for all his support and hard work in this post for many decades. The National Clicker tournament was held on the 19th November in Slough. All fighters fought with great spirit, respect and control throughout the day. On behalf of the BKK, Shihan Nick da Costa (Chief Clicker Referee) thanks all officials, volunteers, competitors and spectators for supporting our last tournament of the year. It was a long day with well over 200 competitors. An extra special thanks to Gareth Jones, Lee Swiggelaar, Helen Rowlands & Gary Frost for ensuring that all went well on the day. Over the weekend of the 12th November '16, the BKK passed a huge landmark in its history; Sensei Tony White and Chris Davies lead a team of cadets and juniors to an open Kyokushin Rules knockdown tournament in Belgium. This is first time the BKK has allowed its junior students to compete in a contact event abroad. Each of the juniors who competed gained a well deserved podium position. Callum Breward, Kobe Spinney and Luke Davies in particular completely dominated their categories. 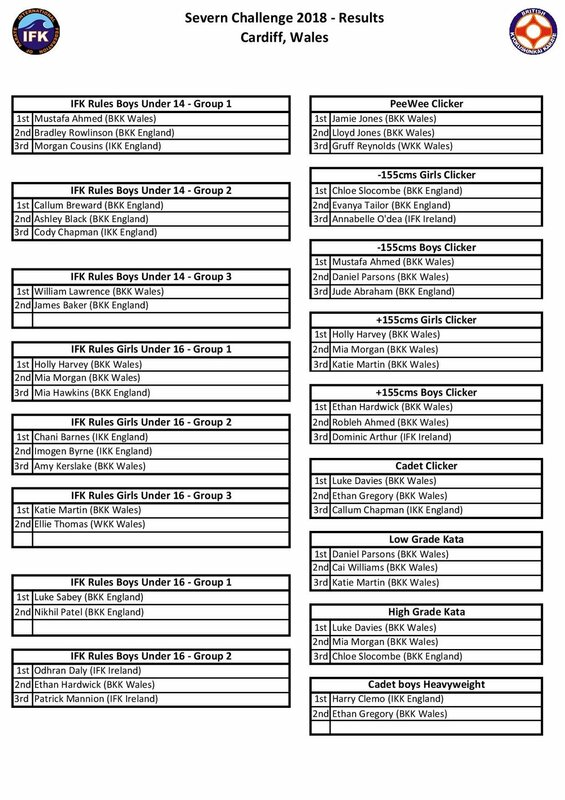 Beth Salvi, fresh from winning her first cadet tournament at the British Open 2016, followed by 1st place at the Severn Challenge some 4 weeks later, competed here and gain podium in her first international abroad. Luke Jones, off the back of a runner-up position at the Severn Challenge, claimed a good podium finish also. The whole squad fought with spirit and determination which was reflected in the results below. 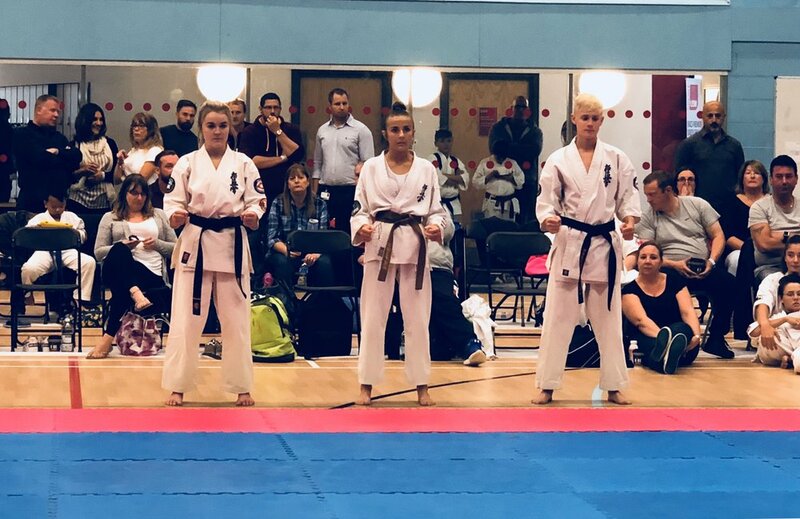 For most fighters, this was their first international Kyokushin Rules tournament, and had at least 4 fights to get to their podium positions. A proud day for the BKK. The BKK is sad to hear that Sensei Alun Jones passed away on 31st August 2016 following a lengthy illness. Sensei Alun was chief instructor of Abercynon School of Kyokushin Karate and Nelson Karate Club in the 1970s before opening Cynon Valley School of Karate in the early 1980s. He was a passionate karateka and exceptional technician. Those who had the honour of training under him will remember him for his attention to detail , dedication and strive for excellence, qualities which were then reflected in his students.